I've been hired by an Association out of Atlanta to cover their 5 Day Corporate Event in Quebec City, Canada September 13th through September 17th. It's a non-stop schedule with very long days and about 6 hours of sleep per night. I will literally take thousands of images mainly of the conference, but I hope to get a few in of Quebec City while I am there. Since I have never been to Quebec City and didn't have my own images yet, I decided to use the one below and made sure that I gave credit to where I got the image from. I'm not the type of photographer to claim an image as my own if I didn't take it. 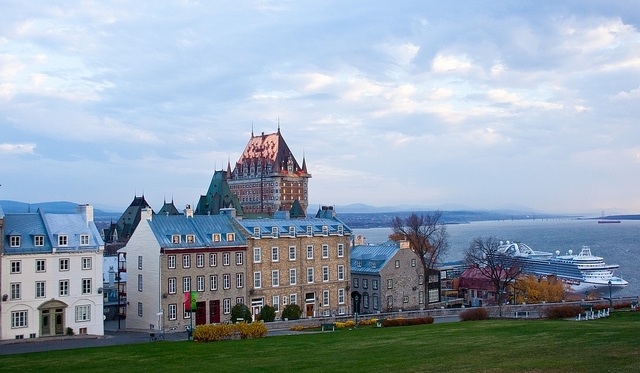 View of the St. Lawrence River in Québec City. It is nice to be able to work full time in an industry that I love and to be able to travel. Quebec City here I come. Professional Headshot Options In The Raleigh NC Market: Home Photography Studio? Mobile Photography Studio? Traditional Business District Photography Studio?